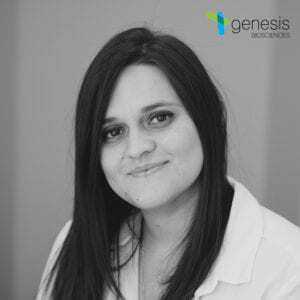 As the QC Microbiologist at Genesis Biosciences, Ashley is primarily responsible for the spore analysis of our batches through proper and documented enumeration methods and environmental screenings to ensure our customers receive the purest products on the market. Ashley takes great pride in her aseptic techniques when performing our required procedures and easily lives up to our claim that she is the “cleanest person on earth”. Ashley leads our stability analysis on our Bacillus inventory ensuring accurate spore counts are used in every batch. And due to her meticulous attention to detail, she is part of an elite club of three that meets our qualifications to be a technical reviewer of our fermentation batch records and documentation. 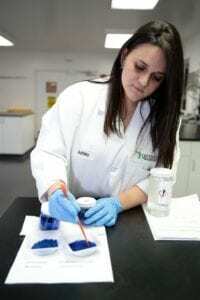 As part of the Microbiology laboratory, Ashley and our micro-team oversee the growth, quality, and stability of our strains from flask inoculations to spray-dried spores to the final use in finished product. As a QC Microbiologist my role involves a lot of microbiological testing of our strains of bacteria and incoming raw materials to verify they are of the best possible quality. Our role requires us to be very meticulous and detail oriented. Genesis’ eco-conscious philosophy really made me want to pursue a career here. It was truly surprising to find a company at this level that was growing bacteria as a raw material for eco-conscious cleaning products. Making sure our products go out the doors at the best quality and as quick as possible. Being able to work with likeminded people who also strive to do the best and deliver to our customers the best quality product in the market. What does your typical day as QC Microbiologist include? My typical work day includes processing many production and fermentation samples and performing a lot of different tests on them. The most challenging part of this industry is that we’re still a relatively small industry. Therefore, many people still don’t know what it is we do and aren’t educated in the benefits and many uses of bacteria. It involves a lot more that just counting “bugs”. 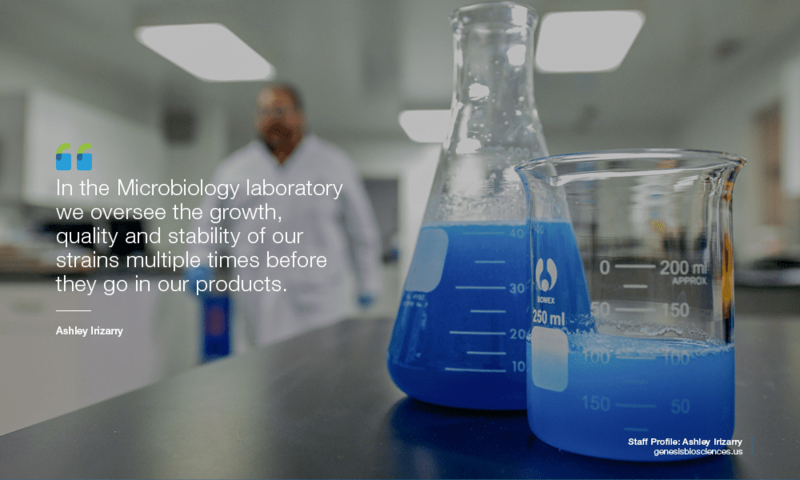 We in the Microbiology laboratory oversee the growth, quality and stability of our strains multiple times since the start all the way until it’s in our products and about to leave our facility. This requires a lot of time, skill, dedication and effort from our microbiologists. Being able to effectively answer customer questions about our products and being able to help them. Being a part of more R&D projects. 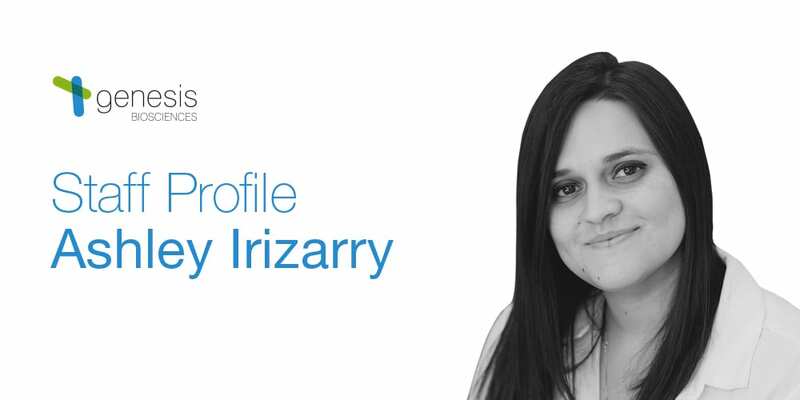 To find out more about the work of Ashley Irizarry and Genesis Biosciences, visit our About page.